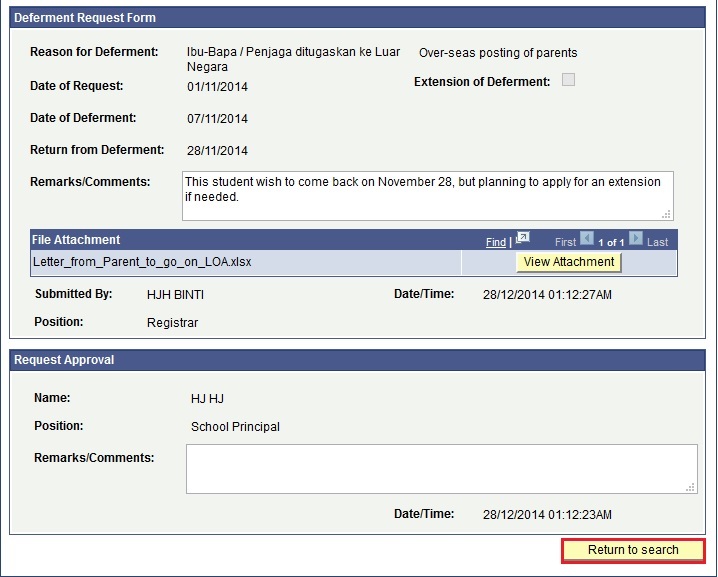 This function allows the users to view and print a Student Deferment/LOA Request Form. 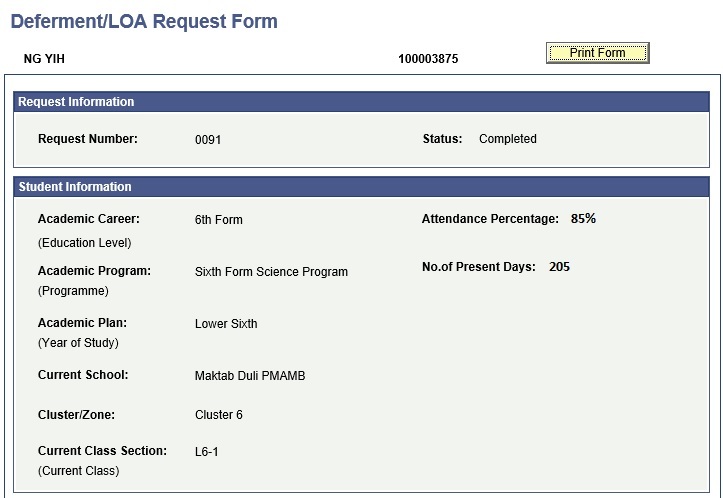 Navigate to Main Menu > Records and Enrolment > Student Movement > Student Deferment > Deferment/LOA Request. 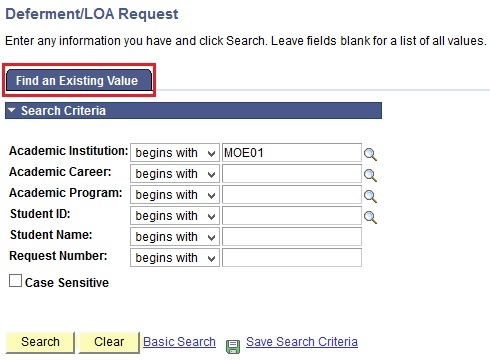 To find the Deferment REquest Form, click on the Find an Existing Value Tab. Enter or click on the Student ID lookup icon to search for the Student ID of the student that has a Deferment Request Form. 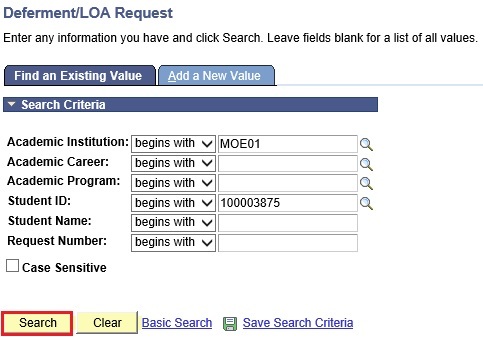 User will be directed to the Deferment/LOA Request Form page. View the Deferment Request Form. 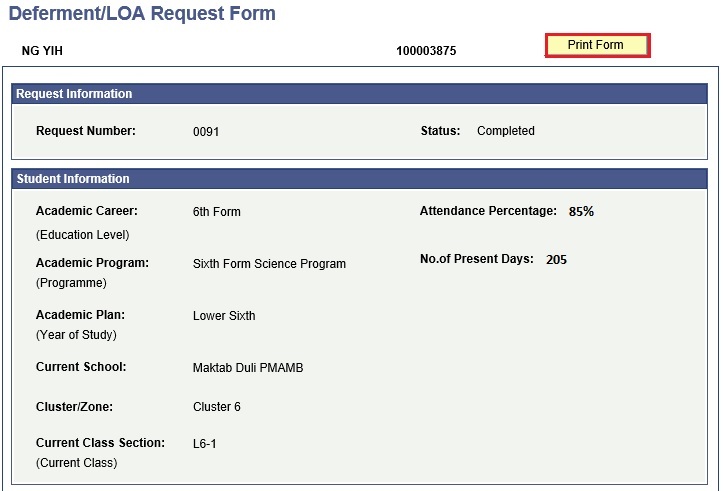 Click on the Print Form button to generate the printable PDF version of the Deferment Request Form of the student. Printable PDF version of the Deferment Request Form. 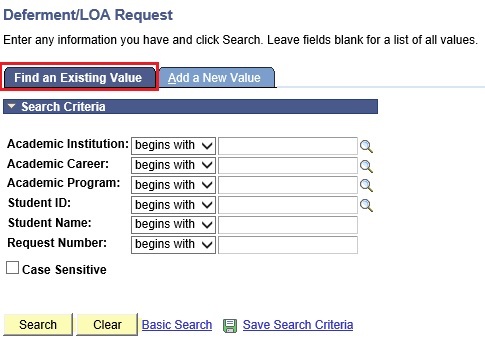 Navigate to Main Menu > Records and Enrolment > Student Movement > Student Deferment > Deferment/LOA Request for DS. 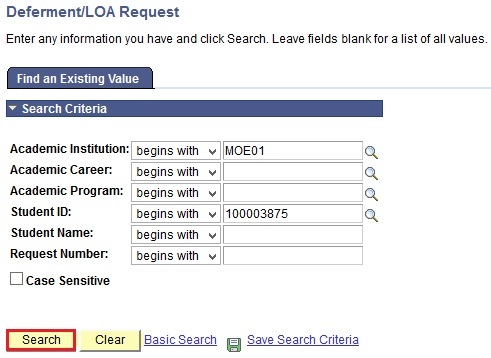 Enter or click on the Student ID lookup icon to search for a Student ID of the student who has a Deferment Request Form. Click on the View Attachment button to view the attached document. To return to the search page, click on the Return to Search button.